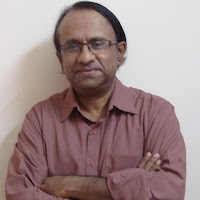 Dr. Vijay Nair retired as Associate Professor, Department of English, Government Victoria College Palakkad, Kerala. He taught English Language and Literature in various colleges for 31 years. His poems have appeared in several International Anthologies. He was awarded the Reuel International Prize for Writing & Literature in the year 2016.